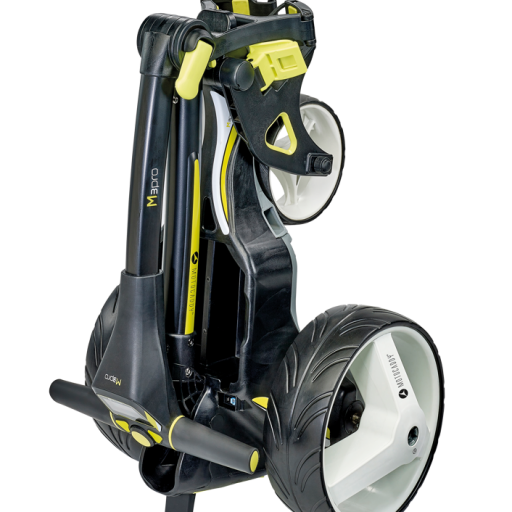 Boasting a bold modern design, the compact-folding Motocaddy M3 PRO is bursting with performance-enhancing features, including a new SlimFold mechanism and revolutionary inverting wheels for a significantly reduced folded footprint. 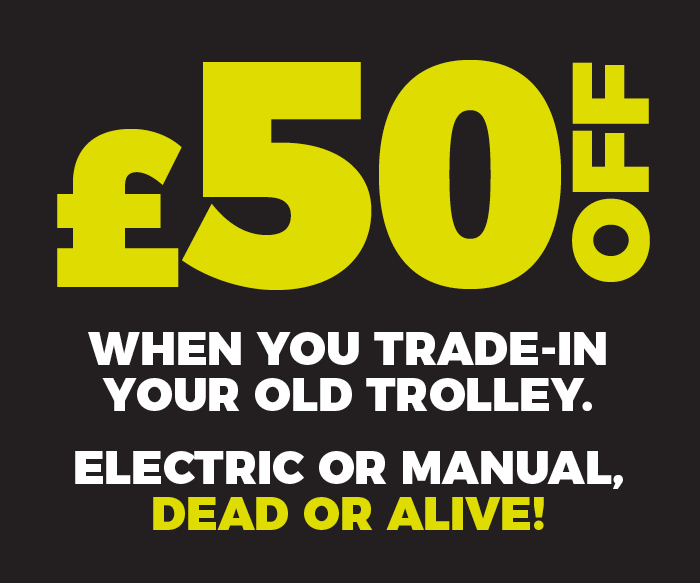 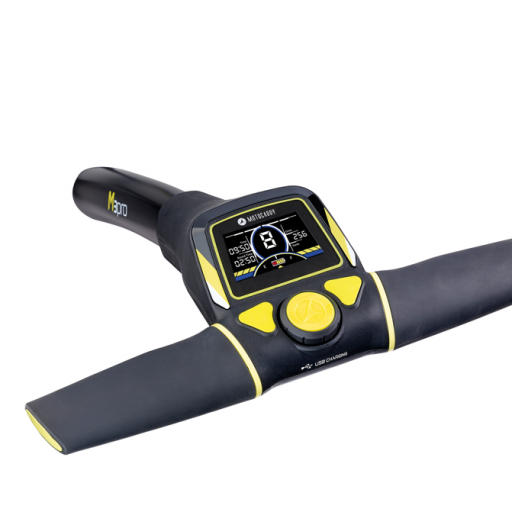 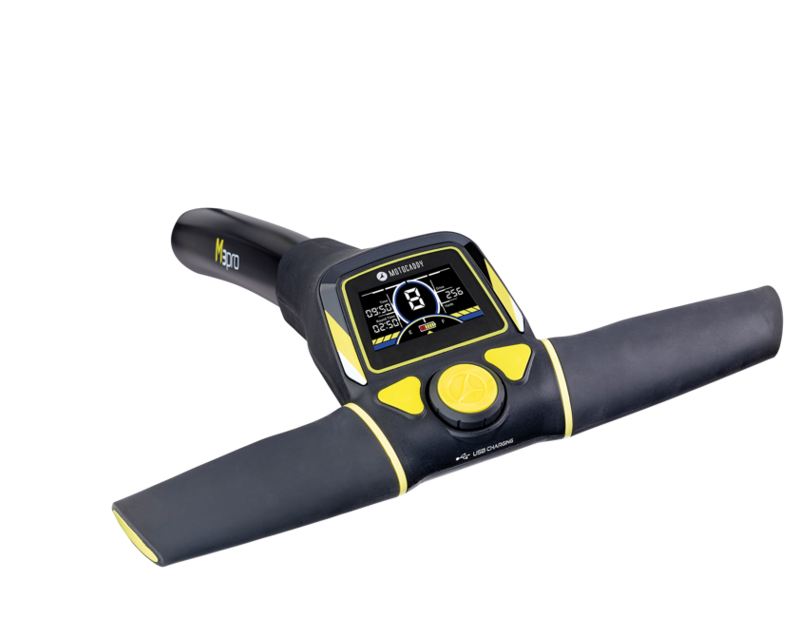 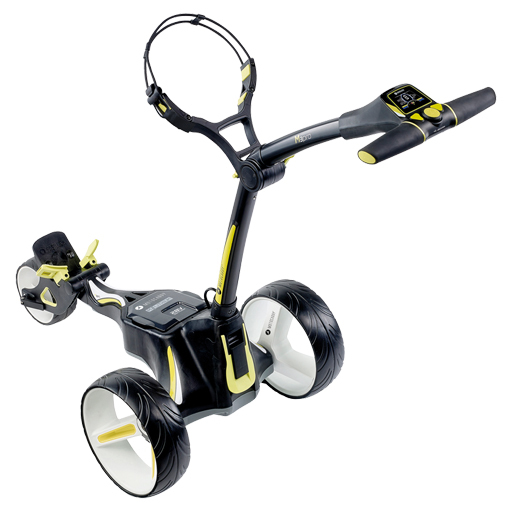 Other standout features include a high resolution full-colour LCD screen offering three distance measurements (Drive, Round and Life); an Adjustable Distance Control (up to 60 yards); CartLock security pin code; battery meter; clock and round timer; plus nine speed settings, allowing the trolley to always move at your perfect walking pace. 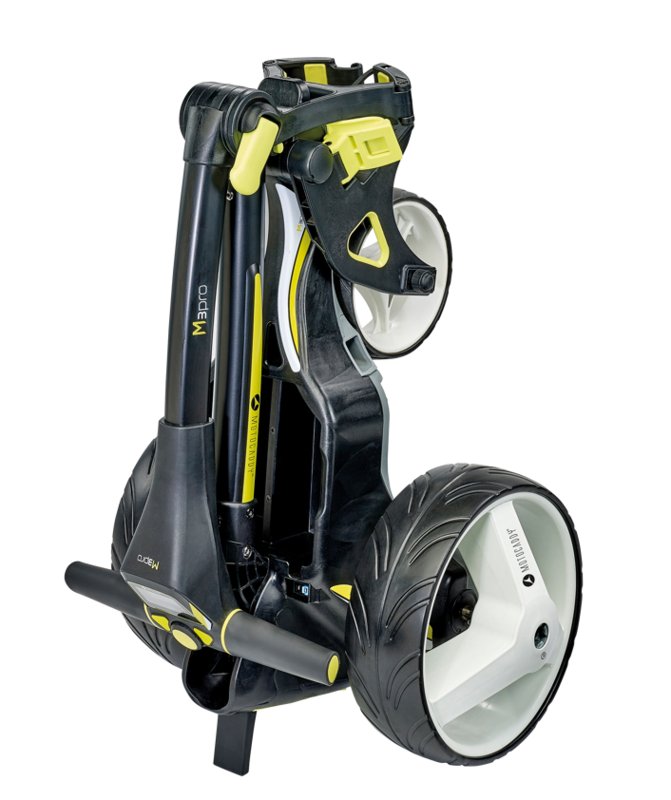 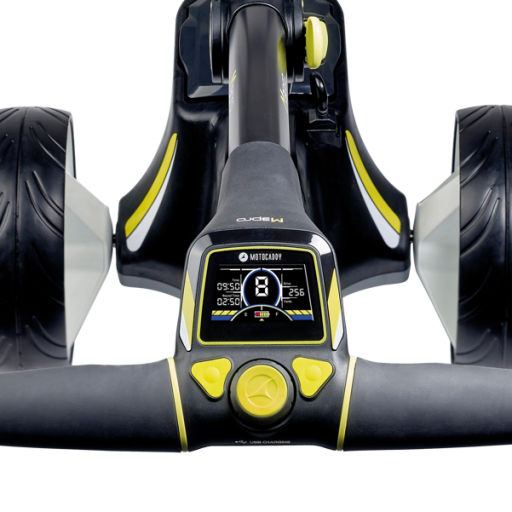 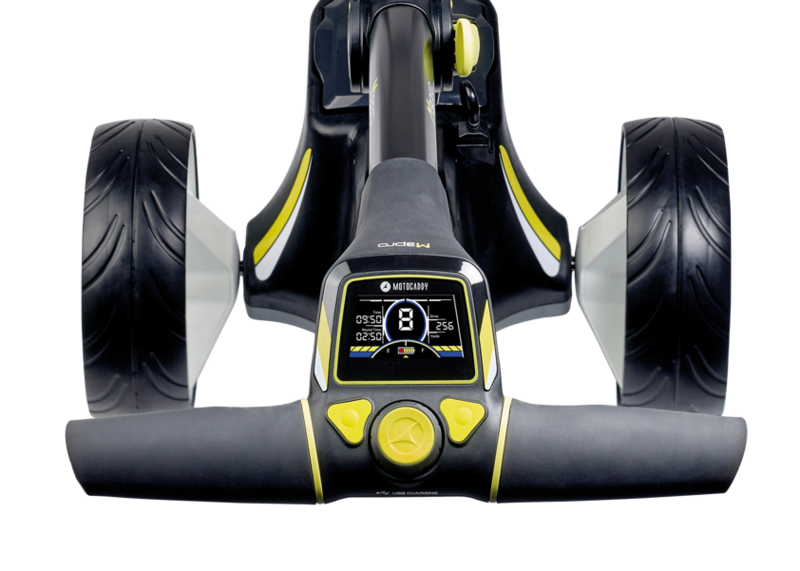 Powered by a next generation 28V system – providing more than double the power of a traditional trolley – the M3 PRO offers an adjustable handle height with ergonomic handle grips and a USB charging port to allow you to make the most of your tech while you play. 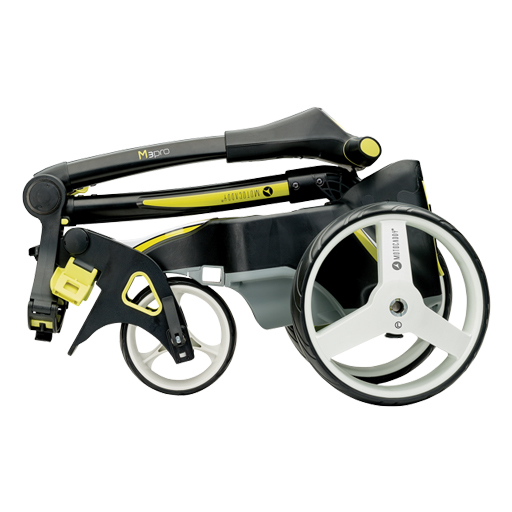 It also includes a powerful, but whisper-quiet 230W motor.